Wednesday, August 20, 2003, 00:00 by Joe Minuti, United Kingdom. I am Maltese by birth and spent my childhood around Birzebbuga and Marsaxlokk. Between these two villages there is a very beautiful fort, San Lucjan, built around 1610, commissioned by Grand Master Alof de Wignacourt and designed by the Maltese architect Vitor Cassar. 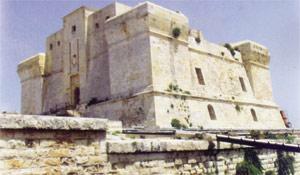 It was first used to successfully protect Marsaxlokk against an attack by the marauding Turks led by Ali Baxa on July 6, 1614, and later used as a munitions depot during World War II. It now houses the Malta Fisheries Board - National Aquaculture Centre. I had the opportunity to visit this fort at the end of July, and although I was not allowed inside for obvious reasons, it being a government department, I did manage to walk around the building. I was appalled at its state. This is a national monument and should be treated as such. Instead, all debris being generated inside by the Fisheries Board is being dumped into the moat of this fort. There are wild plants growing in between the walls and it is basically being left to fend for itself. There is no preservation work at all. I have written to the fisheries board but all I got in reply was a letter of confirmation that they had received my e-mail.